I love living in Arizona! It's springtime for us in the desert. 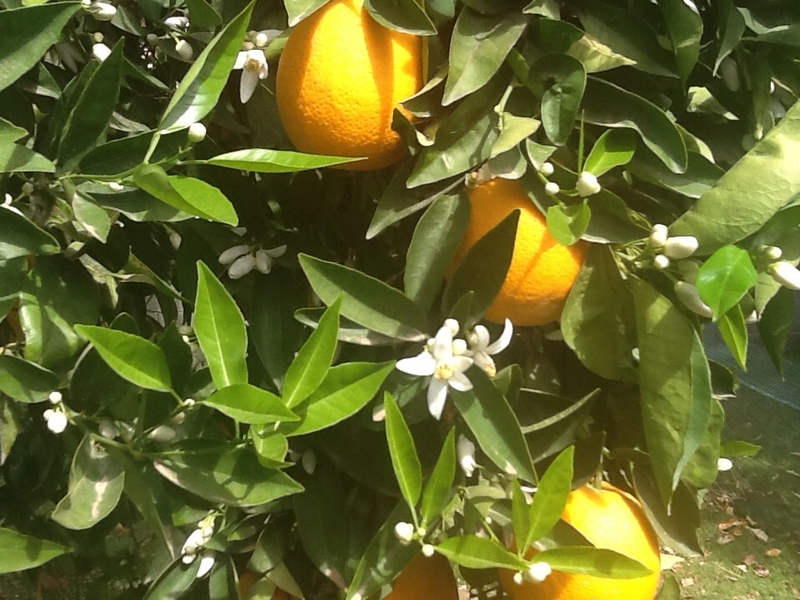 Our citrus trees are just beginning to blossom, so a delicate perfume hangs lightly in the air. 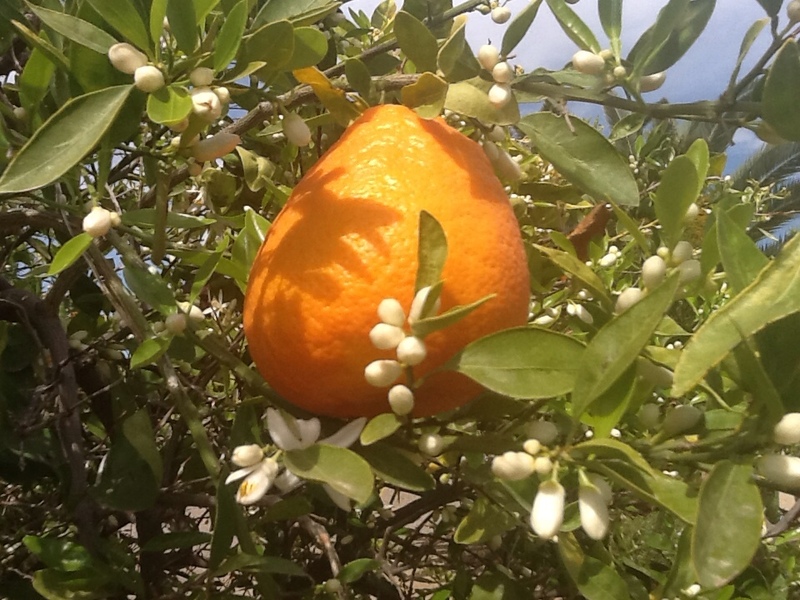 The trees are still loaded with sweet oranges, tart lemons, juicy grapefruit, both white and pink, and my two favorites-- tangerines (mandarins) and Mineola tangelos! 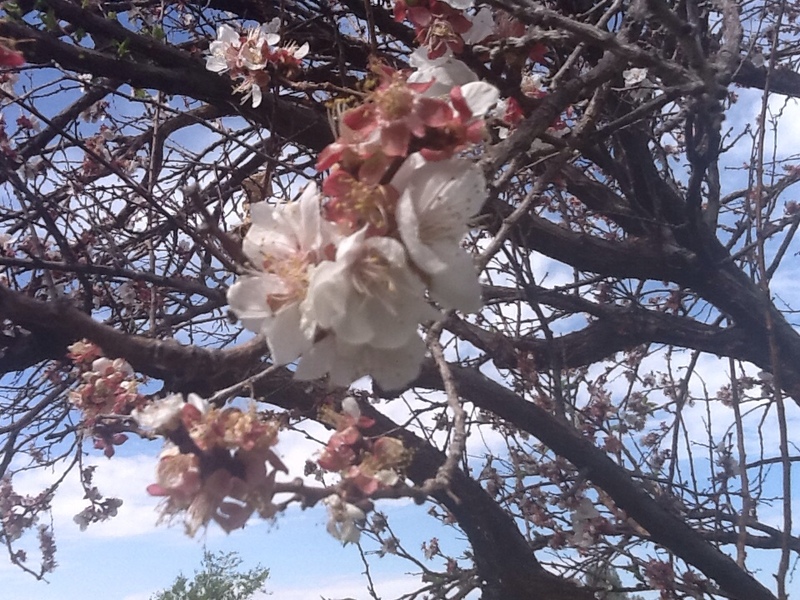 Our plum, apricot are also in bloom. 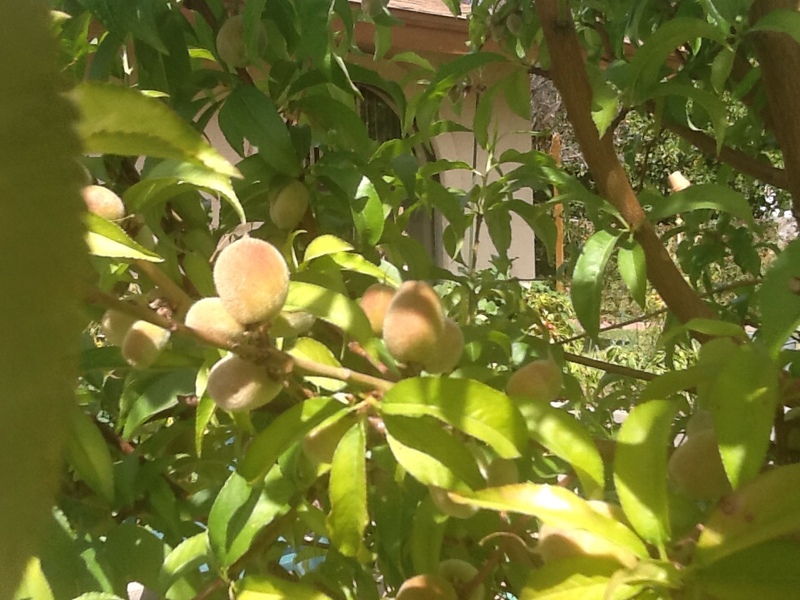 The peach tree has tiny green peaches . 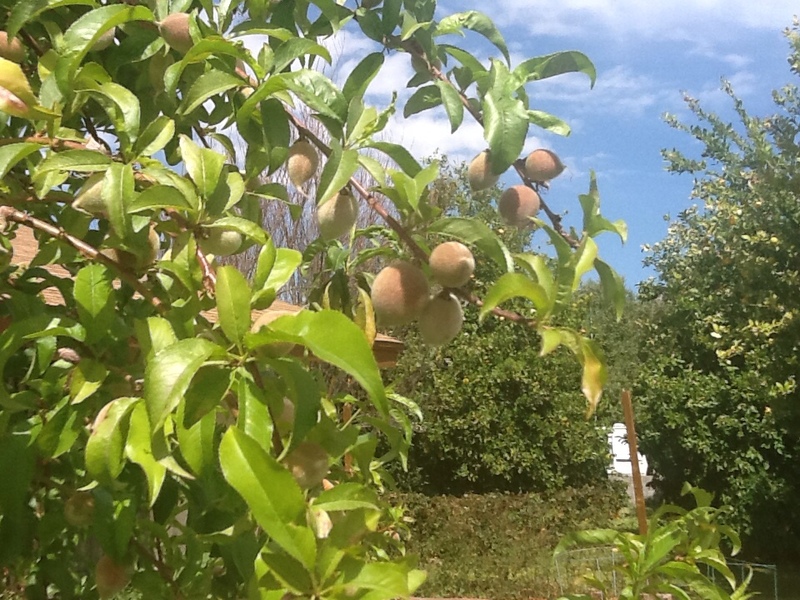 . . the promise of future pies, jams and crisps! 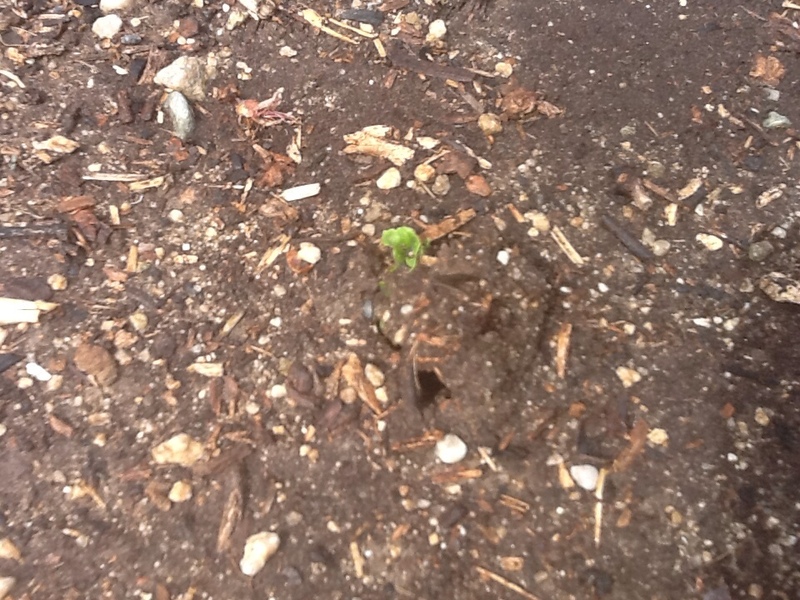 Tiny Yukon Gold pushing up through the dirt. In the garden the Yukon golds have finally poked out of the ground. 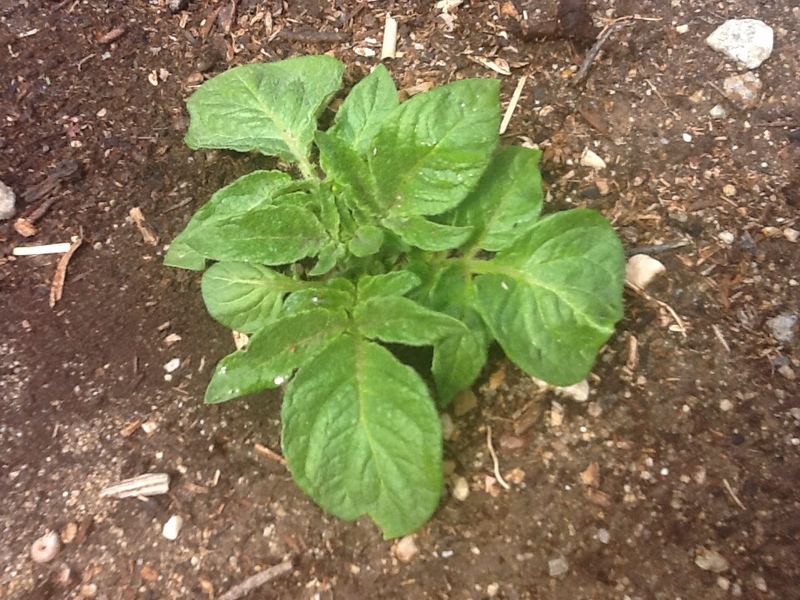 This is our first time growing potatoes and we were a little worried when nothing came up! I was just getting ready to do a little digging around to see what was going on when we saw the earth being pushed up. It took 3 weeks before we saw leaves! This Yukon peeked out last weekend. What a difference a week makes! We are preparing for a visit from my sister, Jill and her husband. They'll be arriving next week for their very first visit to Arizona. It's the perfect time of year to experience the best our state has to offer, and the perfect time to get away from the cold and snow of Michigan! They are taking the train. It should be a wonderful way to travel over mountains, through valleys, across rivers, gorges, farmland, the desert, large cities and tiny villages, covering over 2,000 miles! What a photographer's dream! Will and I have been busy measuring, sawing, sanding, drilling and hammering. We are making a Warre' Hive in anticipation of becoming beekeepers! I must say this project has certainly been a stretch for us, but we are working on it together and I can't wait to show you the finished project! 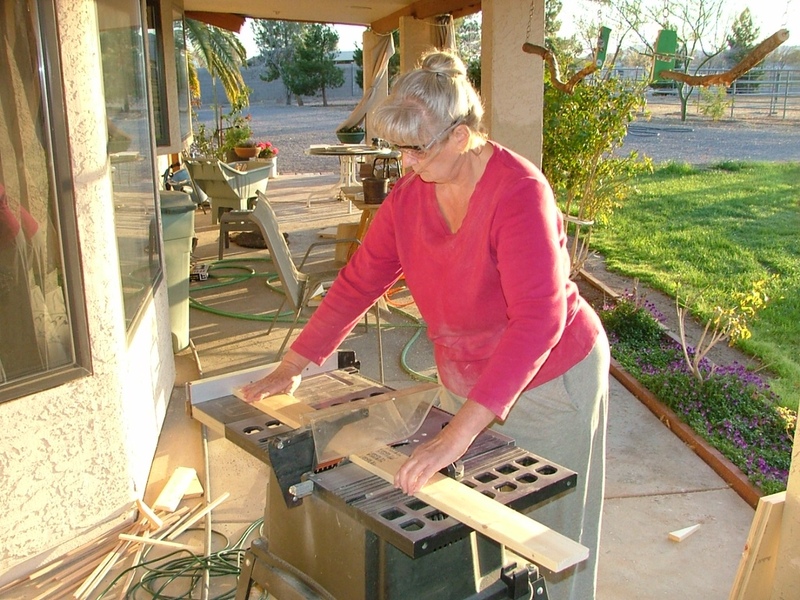 What projects are you working on? Maybe you're in the planning stage, possibly waiting for warmer weather? I'd love to hear about it! We're keeping busy Over at Julie's!!! Wow! That is so cool! I'd love to see your project when it's finished! 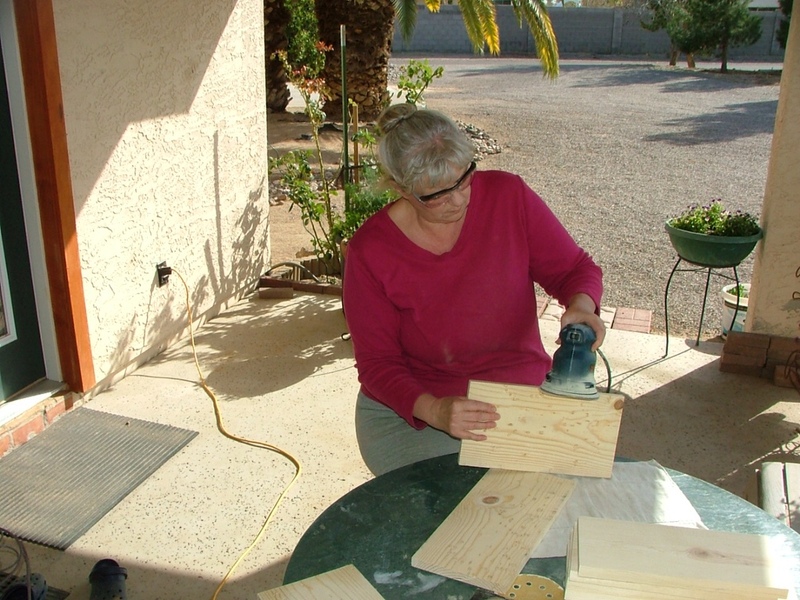 If you live in Arizona I can help you with ideas for keeping your chickens cool and laying through our summer heat.